Family law matters and divorce, involving such issues as property division, child custody, and child support can be highly-charged areas for many people. Dissolving a marriage can be one of the most difficult, even traumatic events that a couple faces. Disputes and disagreements may arise over how to settle the issues involved, making the legal process more time-consuming, stressful, and upsetting. At such a difficult time in your life, you need the calm and objective guidance and the skilled representation of a family law attorney who is familiar with this field of law, the court systems involved, and the emotional challenges you are facing. If you are considering a divorce or have any other family issue that needs legal attention, please contact the legal team at our firm for a consultation. 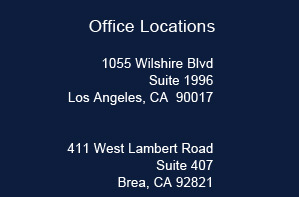 We are committed to helping prospective clients in the Los Angeles area with all their family law needs, including the following areas and more. Spousal support, also known as alimony, is not a required factor in divorce or legal separation in California. However, courts may choose to give an alimony award based on the standard of living created during the marriage and the individual needs of the divorcing spouses. If you are involved in a dispute over child custody, it is in your best interests to contact a family lawyer who can provide legal counsel and representation throughout the process. The court will grant custody based upon the best interests of the child. California courts decide how much child support each parent will be liable for according to how much money the parents earn, how many children are involved, how much each parent spends with the child and other factors. A family attorney from our firm may be able to help you achieve the child support you need to take care of your children. Are you considering getting a divorce? This can seem like a daunting and overwhelming process, but an attorney from our firm is highly experienced at handling divorce cases in a timely and efficient manner. After a divorce has been finalized many couples have problems enforcing the settlement agreements, such as alimony and child support, that were stated in the divorce settlement. If you need help obtaining payments from your ex-spouse, a Los Angeles divorce attorney at our firm may be able to help. Are you a grandparent who wants to obtain the legal right to visit your grandchildren? California courts allow you to accomplish this in different ways depending on your specific situation, and a family lawyer from our firm can help you determine the best legal route to take. If you are interested in a Los Angeles juvenile dependency case, a Los Angeles family attorney at our firm may be able to assist you and protect your best interests throughout the legal proceedings. You have specific rights during a juvenile dependency case, and you must take precautions to make sure they are protected. There are many reasons why couples may choose legal separation over divorce. A legal separation does not terminate the marriage, and it permits couples to settle issues like child support, child custody, and alimony and property division as well. 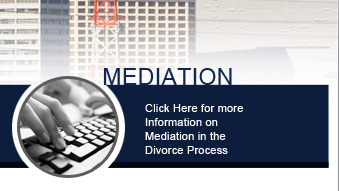 Mediation is a widely popular alternative to divorce that allows couples to resolve disputes with the assistance of a third party mediator who is neutral. This is a private and confidential process that is less-costly and less time consuming than normal divorce proceedings. There are state and federal laws that protect service personnel from being sued for divorce without their knowledge while they are active on duty. Los Angeles family attorney Michael Burt is well-versed in military law regarding divorce, and can help protect your rights regardless of your situation. Are you looking to make changes to your divorce agreement or settlement? There are many different circumstances that allow for a revised agreement to be made, and a Los Angeles family lawyer from our firm can help you file a motion with the court. A paternity suit establishes the legal rights and responsibilities of fathers in regards to their children, and a paternity attorney at our firm can assist clients by arranging for paternity suits and more. We will also take the legal action to seek child support and visitation rights for fathers. Prenuptial agreements are written contracts made by a couple before they are married, and these agreements typically contain the property, assets and debts each spouse has prior to marriage and how they will be allocated after marriage. You need a qualified and experienced family attorney in order to draft a proper prenuptial agreement, and our firm is here to help. The division of assets and property must be worked out and agreed upon by the divorcing parties before the divorce can be finalized. This process can be lengthy and stressful, but our firm can provide the legal counsel that you need to achieve property division resolution even in a difficult divorce. Spousal support is determined by the judge and is based on a number of factors such as the length of the marriage, the income of each couple, and many more. If you are seeking to obtain spousal support of looking to modify your original spousal support agreement, a Los Angeles divorce attorney from our firm can help. Married couples and registered domestic partners in California may adopt their partner's child or children through the step-parent adoption process. It is wise to have the guidance of an experienced family attorney throughout this process, especially if the other parent refuses to give consent. Are you seeking the legal right to visit your child or children? Visitation rights are determined separately from child support and will determine the days and time that a child spends with each parent, as well as what contact the children will have with the non-custodial parent when they are separated. We take on all sizes and types of family law cases, from simple prenuptial agreements to complicated divorces involving high-asset property divisions and many children to post-divorce issues such as modifying earlier judgments. As a small boutique law firm, we can provide personalized attention to each case and work closely with our clients to achieve their objectives. We have developed a flexible fee structure to meet the needs of any prospective client. Above all, our Los Angeles family lawyer will work tirelessly on your behalf to obtain the best possible outcome for you and your family.